So gracefully we find ourselves transitioning into the crisp days of Autumn. Overgrown gardens live in harmony with a show of magical colour changing leaves. We're cozy both inside and out with new fall knits in beautiful jewel tones. Mother nature has spoken and we're happy to oblige. We relish in these Autumnal vibes. With little effort, these knits pair beautifully with pieces from past seasons. The Animals Observatory (TAO) Lynx Skirt is wonderfully cozy in deep apple red. With a perfect amount of punch, it is an understated statement piece. 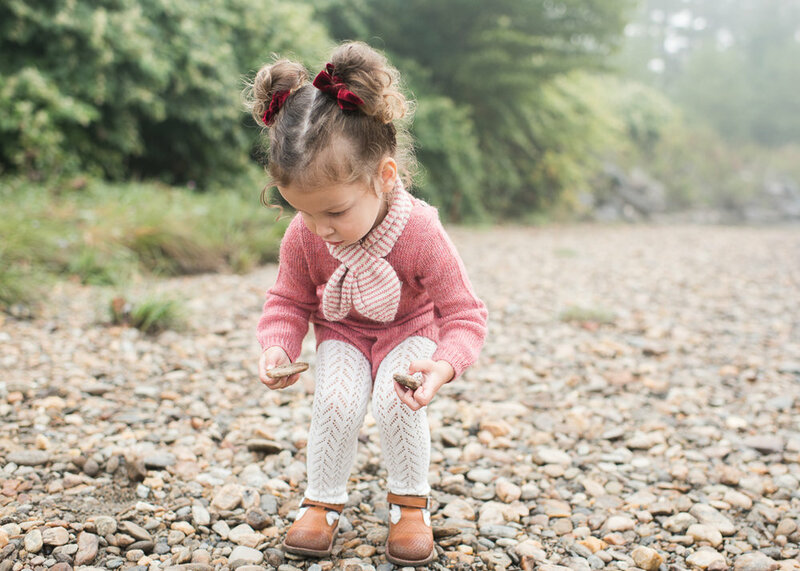 Mila fancies Oeuf's Knit Romper in Rose for her rock gathering adventures. A coordinating Oeuf necktie, Little Light Feet Crochet Tights, and Angulus T-Bar shoes finish her fall look. We're embracing this season of change with creature comforts that keep us cozy on these chilly Autumn days. 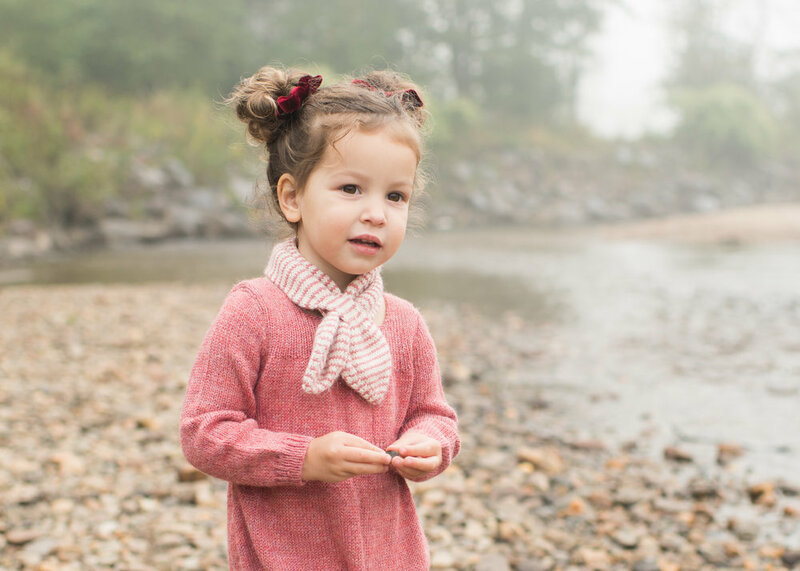 Elise and Mila's hair accessories: Wunderkin Co.